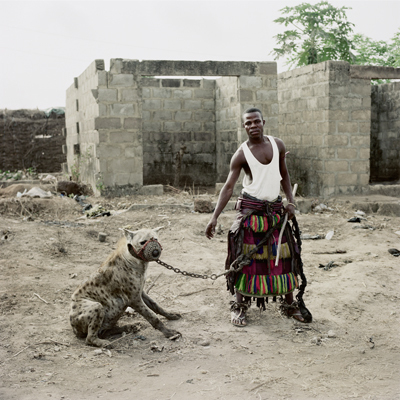 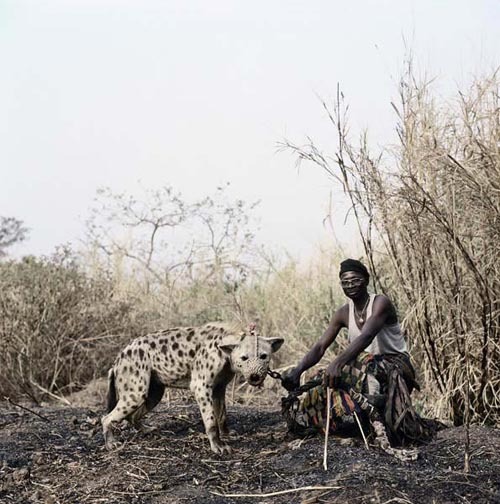 Pieter Hugo photographed hyenas and their owners. Yes, their owners. In Lagos, Nigeria, men seem to keep an hyena as a pet. 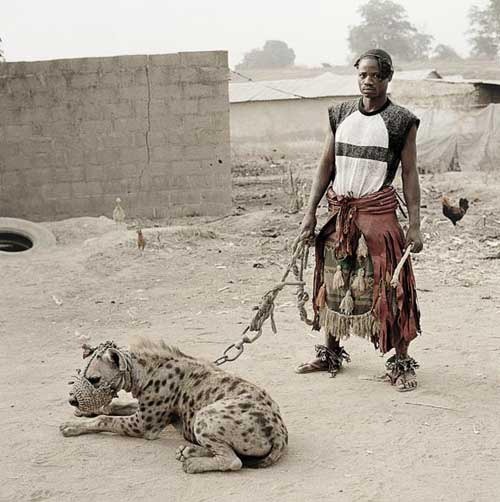 Using a chain as a leash, they walk around with their pets like you normally would with your dog. 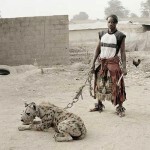 I wonder if this animal is a good and smart substitute for what we normally would call men’s best friend. Does a hyena really looks out for the owners best interests. 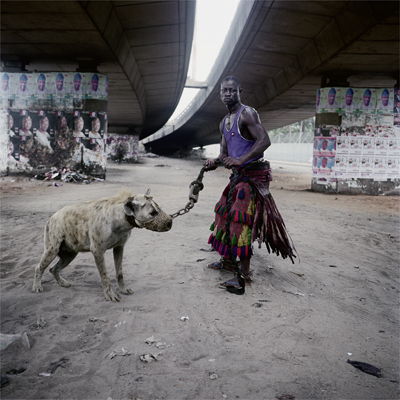 The muzzles indicates otherwise. 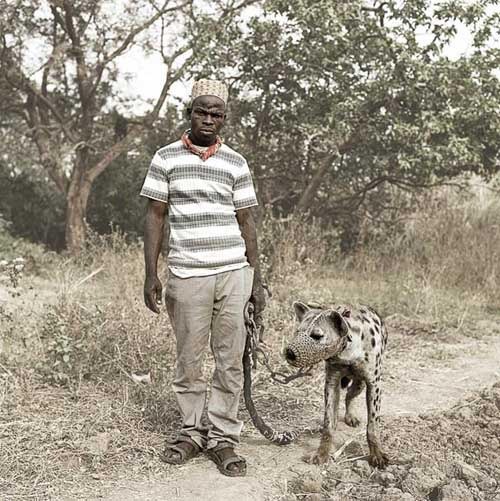 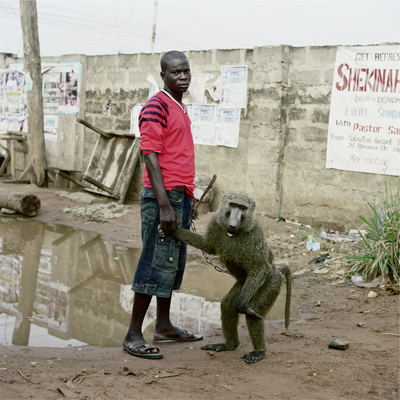 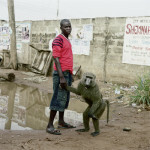 Pieter Hugo found out the true relationship between these men and hyenas. 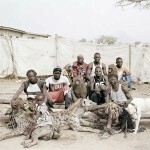 He spent eight days with them. 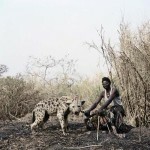 The men are called ‘Gadawan Kura’, roughly translated ‘Hyena handlers/guides’. They are a group of itinerant minstrels, performers who used the animals to entertain crowds and sell traditional medicines. 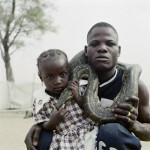 For the complete story please visit Hugo’s website or click here.